Crab is an aggressive creature which will cause a certain loss if they are breeding together because they will fight and kill each other, especially when shelling. Crab House provide separate aquaculture box for each crab, equipped with supplying and exhausting water system and increasing oxygen into water function. It can automatically discharge faeces and remnant bait (self-clean patent design) to maintain a good quality water environment in each box. When it needs thoroughly clean, each Crab House can drain all the water completely. Each Crab House has a door to prevent the crab escape. The conveniently open and lock mechanism and a observation window on the door make staff check crabs without opening the door, which greatly saves manpower and time at the same time to minimize the impact on stress responding of aquaculture creature. Crab House can be free combined into different floors and different boxes each floor according to customer demand (usually one set consist of 10 floors which has 10 boxes each). Each set can do water treatment separately (suitable for small scale aquaculture or experiment lab), also can collect all return water for treatment together (suitable for factory aquaculture). Crab House saves much more land (if breeding 100 crabs calculating as 400 grams each on average, the ordinary pool for aquaculture covers about 300 square meter, while Crab House only covers net 0.9 square meter area, which improve the land utilization ratio of 300 times. For inland area and far away form the sea, it is also easy to cultivate seawater crab breeding. Crab House consumes less water, save energy and heating and cooling rapidly. Crab House effectively evade most of the risk and uncertain factors (climate risk-indoor breeding, water quality risk- sterilized and purified recycling water, eliminate other biological causing pathogenic disease risk- single specie breeding in single box) during aquaculture. Crab House use less manpower (one skilled worker can raise 2,000 to 5,000 crabs) to realize intensive full-year production of high density aquaculture. Crab House can make more economic profits for reserving and breeding soft shell crabs. The same size and specie of soft shell crab with short aquaculture cycle (3 to 15 days usually) is 4 times more expensive than ordinary one. Crab House advocates green, pollution-free and organic ecological aquaculture without chemical of catalytic and ripening in order to achieve environmental health and safety. Soft shell crabs aquaculture is a new hot business. Crab House will be the best choice for soft shell crabs aquaculture. can provide the relevant aquaculture technology information of the soft shell crab. 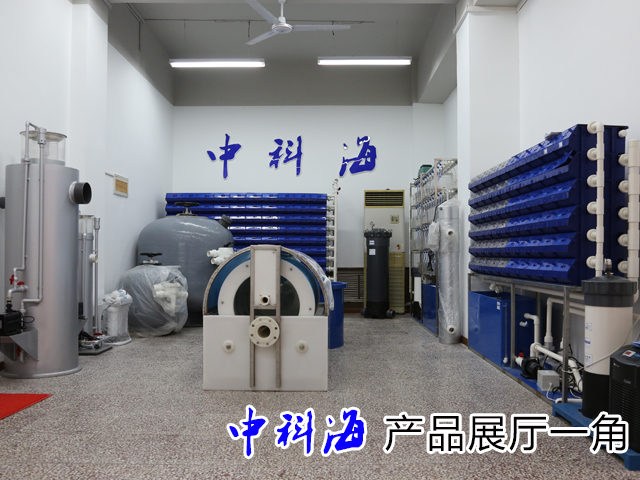 The Crab House is an indoor factory aquaculture equipment using recycling water for breeding crab and soft shell crab, which is exclusive studied, invented and produced by Qingdao Zhongke Seawater Treatment CO., Ltd which owned the independent knowledge property right. The Crab House not only can be used for breeding, fattening and reserving crab and soft shell crab, but also other benthic aquatic animals. 2, what Crab House consist of? Crab House consisted of many groups with ten floors each and every floor has ten boxes that is one hundred boxes totally for one group. Every group is equipped with a water treatment system using recycling filtering disinfectant fluid. 3, what’s the building material of Crab House? Crab House is made from a new food grade pp (polypropylene) material with fine workmanship by infection model, the same material of house used microwave lunch box. This material is a healthy and non-toxic material which is wide used in food industry and this food safety standard material has already been applied in Hong Kong and the west. 4, what’s the size of every crab box? At present, we supply for 2# Crab House with inside size of 32*20*14 cm, which apply for the average aquaculture demand. It is not a problem for a crab within 500 gram weight to live in. we will invent more types for larger and smaller type crabs in the future. 5, How much area Crab House covers of? Crab House covers much few area of net 0.9 square meter of every group and around 2-3 square meter of totally area (include walkway and purified water equipment). Accounting as every 50 groups (breeding 5000 crabs at the same time), it only needs a house covers an area of 150 square meter. 6, which kind of crab is apply to Crab House? No matter which kind of seawater crab or freshwater crab is applied to our Crab House, as long as the size is suitable for using it. 7,How long the growth period of crab using Crab House with this aquaculture mode? Can it apply to inland? Crab House is an indoor factory stereo aquaculture using recycling water equipment which designed for avoiding conventional breeding pattern of low survival rate and higher risk, such as ordinary pound farming, the sea aquaculture and large indoor pool aquaculture. In the process of breeding, it will not change the life habits and growth principle of crabs because Crab House’s breeding pattern has not much different with traditional breeding mode, though it might shorter the growth cycle, it is not that obvious. We just separate crabs for avoiding of they killing each other in order to improve survival rate. 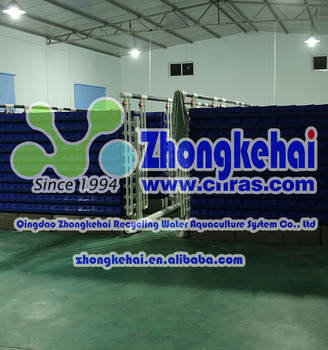 This factory recycling water treatment system provide good quality water temperature conditions for crabs to make them grow better and avoiding diseases and water quality deterioration which will influence the production. Also indoor aquaculture can evade a lot of natural disaster climate which impact on traditional aquaculture and through means such as temperature control to decide the time to market in advance or delay to make more profits ( this is similar to green house of planting fruits and vegetables). As for inland area, Crab House can breed seawater and freshwater crabs technically, but seawater crab breeding need to do market research first to see if there are any profits. We suggest that inland company could consider of breeding local crab species or reserving and temporarily raising seawater crab, after all, the cost of breeding seawater crabs in inland is high. 8, Can Crab House breeding soft shell crabs? Crab House is much more suitable for breeding soft shell crabs and we will support the technical guidance. 9 What’s the cost of Crab House? How to match water treatment equipment to make it more economic and reasonable? 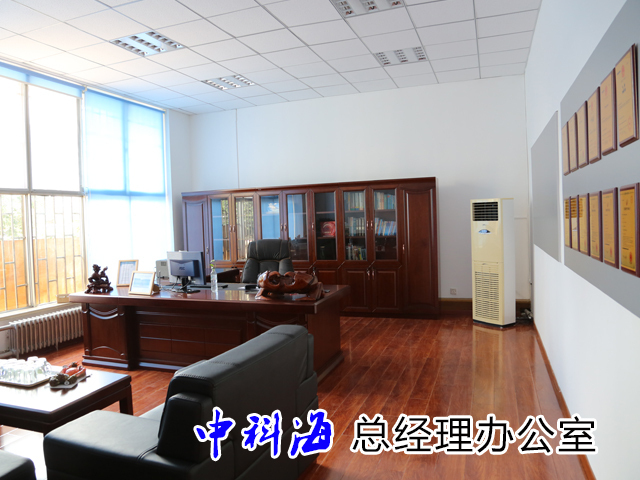 At present, we sell Crab House as set costs 70,000 RMB which include 10 groups (1000 boxes can breed 1000 crabs), a high speed sand filter cylinder (ZKH-SL1200A), an ultraviolet sterilizer (ZKH-ZW4003) and a water pump. Heating machine costs 1,500 RMB and refrigerant costs 9,500 RMB. The entire price above doesn’t cover the tax, freight and mounting fee. Mounting is very ease which can follow the introduction to do so. Ten sets of Crab House can be transport by land carriage. If a large order from coastal customer using shipping container, it will reduce much more freight cost. 10, Can one set of recycling water treatment system support more Crab Houses? One set of recycling water treatment system can support for 10 groups (1000 boxes) which is design for considering of maximize the equipment processing ability, performance optimization and the principle of risk diversification. In this way, the collocation is both economy and safety. For example, if we use double process capacity of water treatment equipment to match with 20 groups of Crab House, the cost of water treatment equipment would 2.5 to 3 times higher than the present collocation method and with more energy consumption. Also if one recycling water pump broken because of support too much sets of Crab House, it will highly increase the risk of aquaculture which is opposite with the design purpose of Crab House. 11,What’s the environment requirements of Crab House? We suggest of indoor breeding which can easily control all water quality indexes and better temperature insulation for energy saving. Production oriented Crab House needs a pool or tank under the ground for collecting return water and a base of Crab House which can be made of bricks or stones according to the demand of instruction manual. 12,Why should we use Crab House? What are the advantages of it? Crab House has a strict system to control water temperature for avoiding natural disaster. It also can prevent crabs from killing and eating each other so that it can reduce the mortality rate and increasing production. Due to each crab is baiting casting alone, the size will be more consistent with better quality, thus improve the selling price. 13,What’s the water consumption of each group of Crab House? Every set of Crab House consume around 5 tons water. We suggest replacing 5-10% new water every day to make sure the water quality stability and temperature in a low cost level. 14,How Crab House feed crabs? Crab House breed each crab in each box separately every day with sterilized fish, shrimp and low-value shellfish. 15,How to clean up the remnant bait and feces during the aquaculture? The exhausting water system with patent technology can automatically discharge the remnant bait and feces with water in Crab House. There is no need manual cleaning every day but only take out the leftover large empty shells, if not, it also won’t pollute the water. 16,Will diseases happen to Crab House aquaculture mode? Diseases rarely happen to Crab House since the water has been filtered and sterilized. Even if one crab causes a disease, it will not infect to other crabs. Diseases will hardly happen, if we pay more attention to sterilize bait container regularly. 17,How long it can be used of Crab House? Crab House is made from a new ageing resistance macromolecule material with food grade. Normally, it can be used more than 10 years. 18,Do your company provide the aquaculture technology of soft shell crab? We can provide the relevant aquaculture technology information of the soft shell crab. 19,Which kind of water purification equipments need to possess? As usual, we suggest the user to use the following equipments to process water: 1. A micro filtration machine and a high speed sand filter cylinder. 2. A protein separator for gas enrichment soluble substances (only apply to seawater species). 3. A biological tower or biological decomposition used for decomposing ammonia and nitrogen and other harmful substances. 4. An equipment using ultraviolet to sterilize the water 5. A refrigerator and heating machine for adjust water temperature in the whole year aquaculture. 20. How is the power and water consumption? 10 groups Crab House (1000 boxes) for instant consume around 880 kilowatt hours every month not including cooler and heating machine. The total water consumption is about 5 tons in which 5 to 10% needs change everyday by discharging pollute water used for cleaning sand filter cylinder and supplying new water.